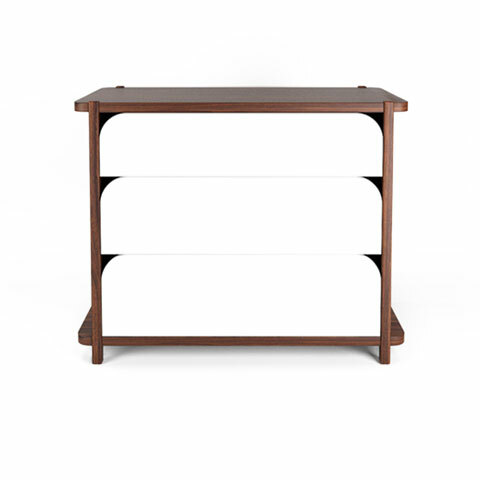 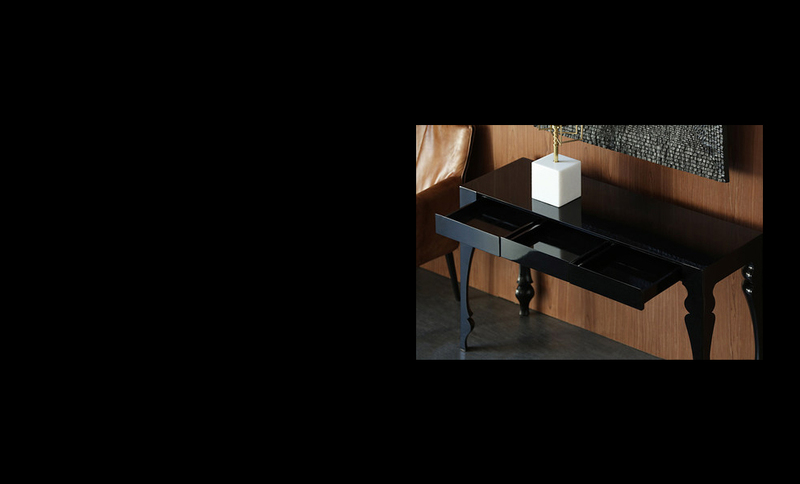 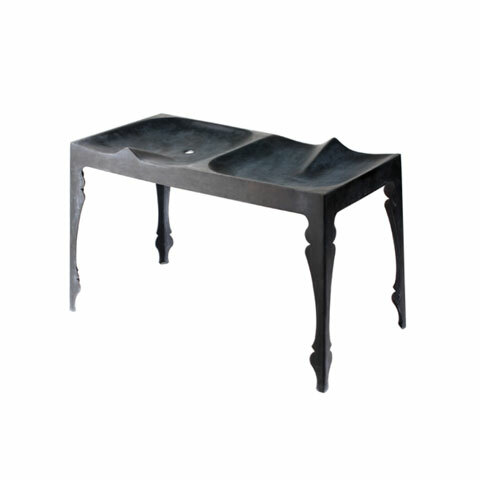 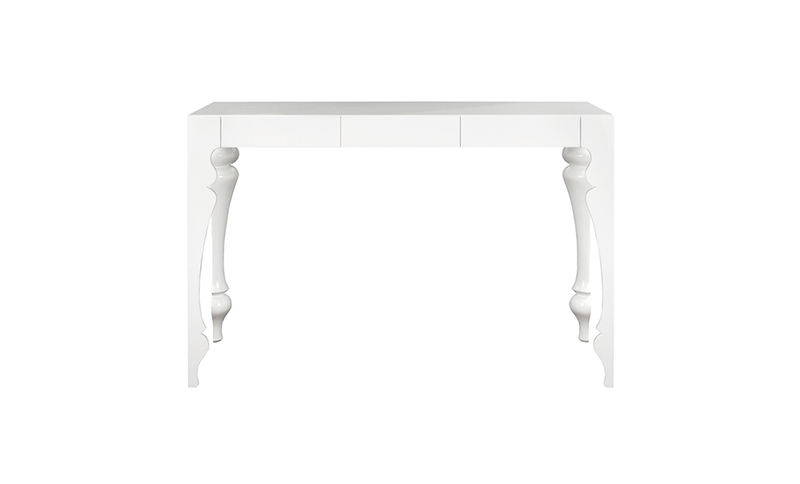 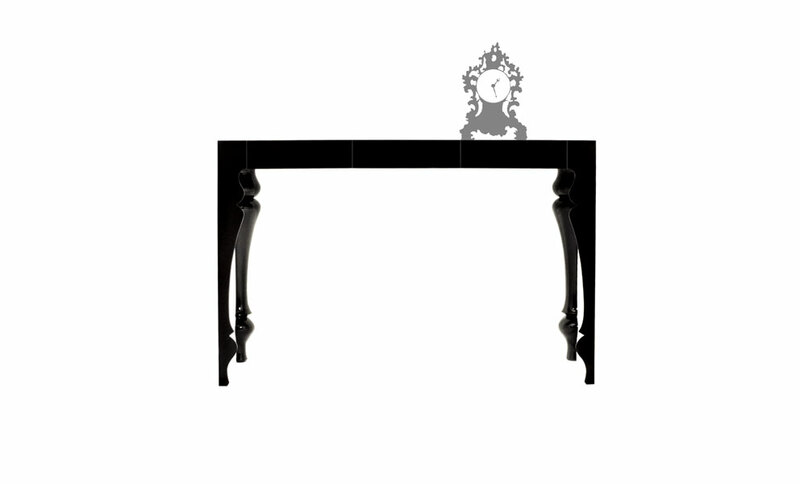 Award winning console table with turned legs split to place the hard edges outside, leaving soft contours within. 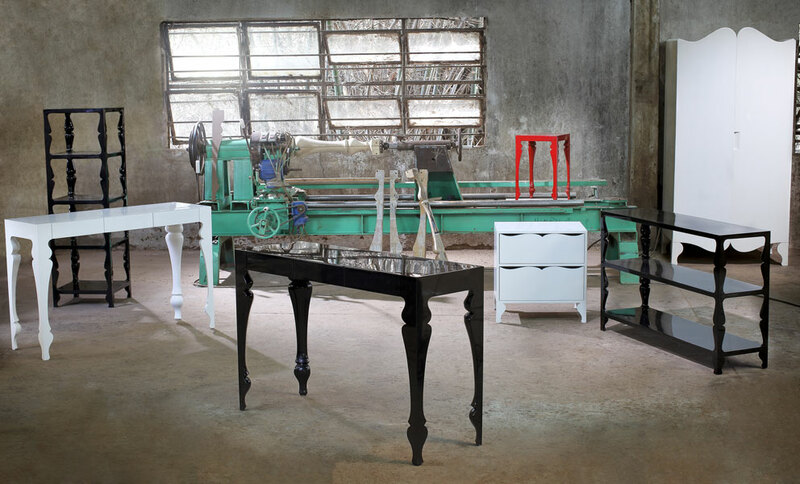 Laminated MDF, finished with a tough glossy black, white or red polyurethane finish. 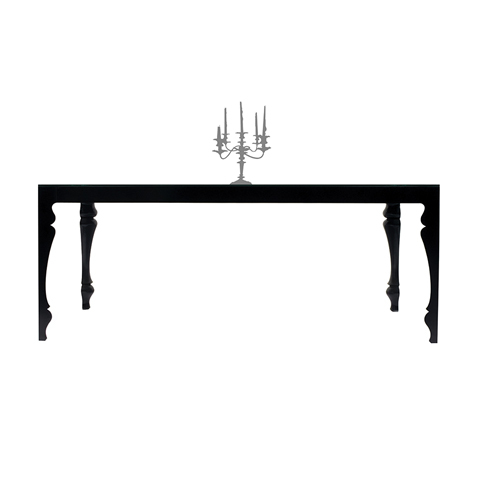 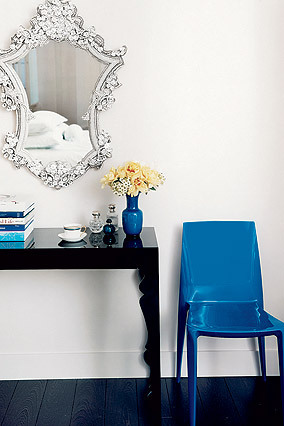 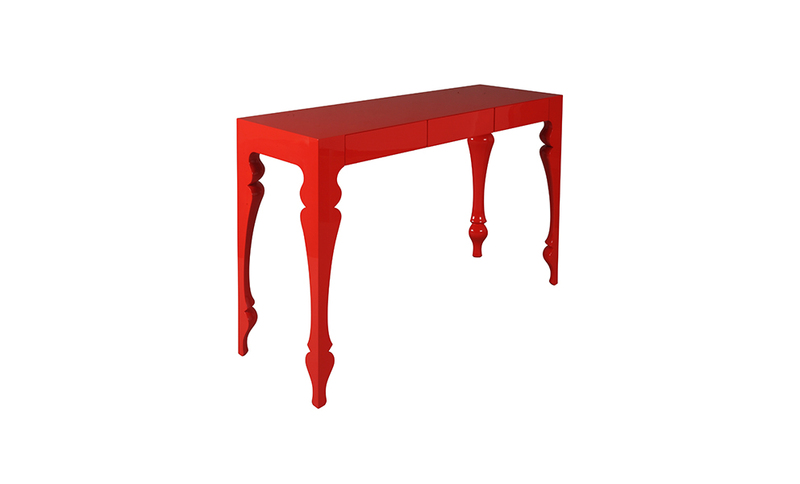 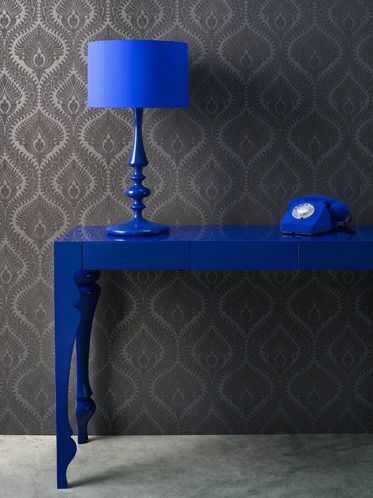 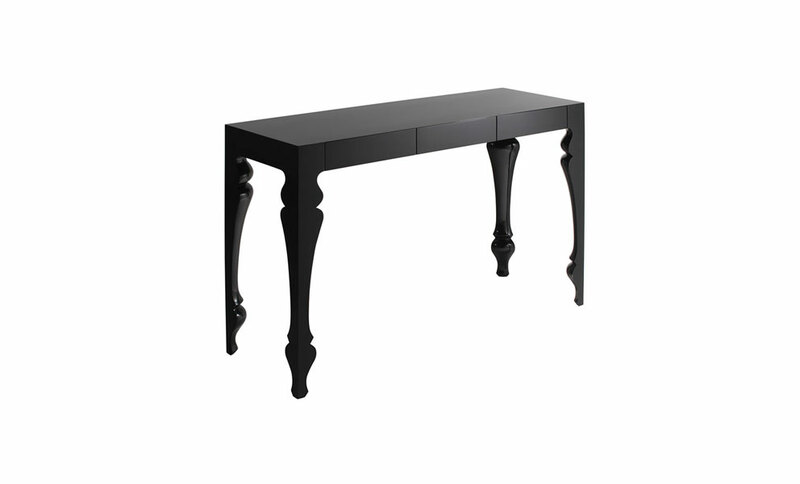 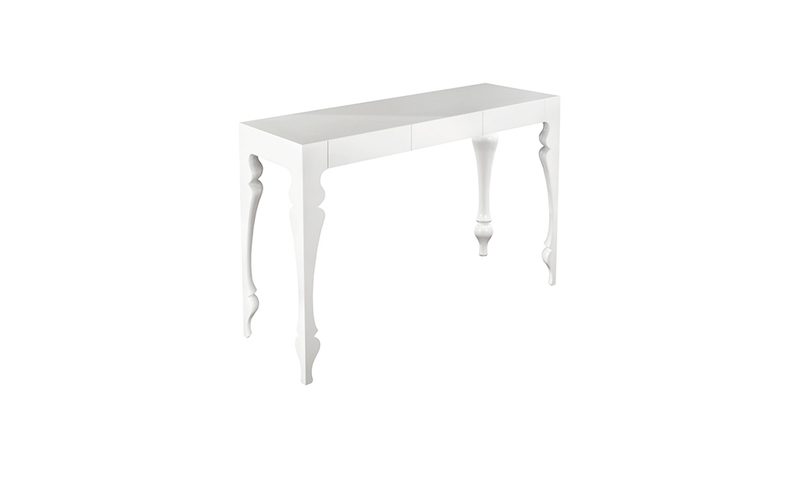 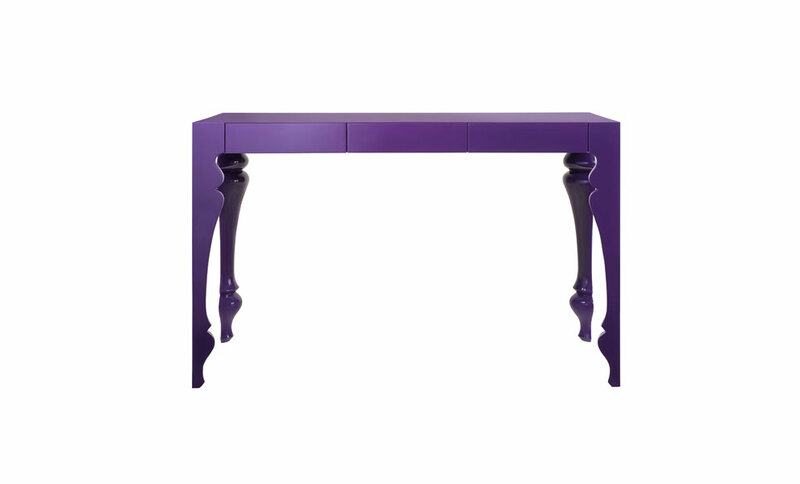 Statement dining table featuring the ‘Louis’ turned legs. 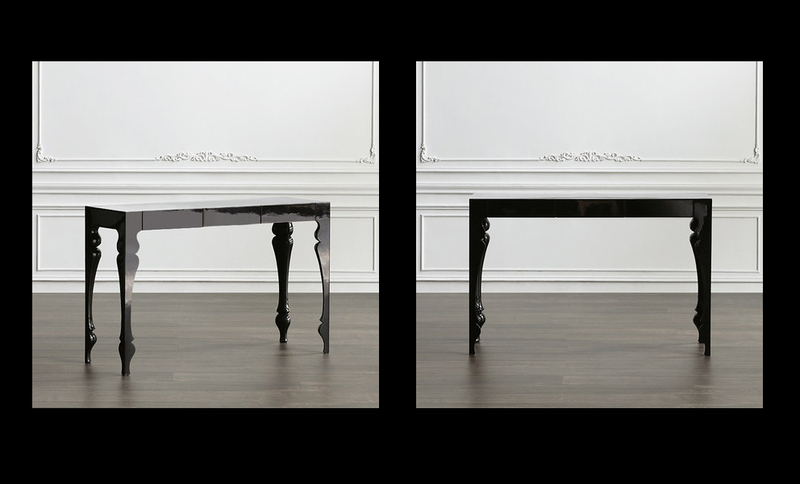 Available as knockdown with a matching 12mm (half inch) toughened glass top coloured to match. 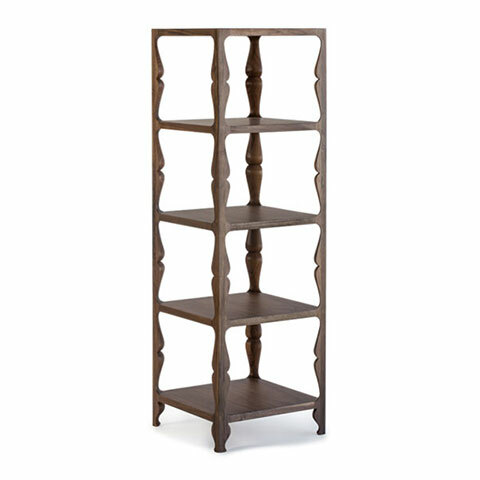 How did something so simple become so complicated? 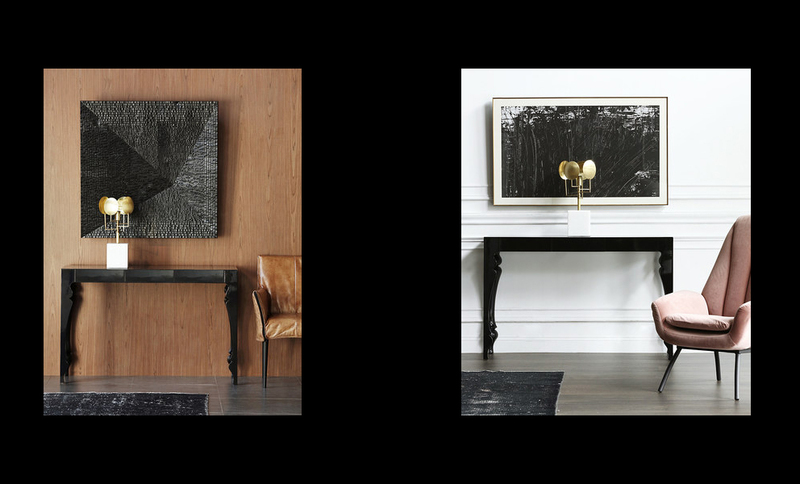 Conceived from the idea of capturing the moment when two people meet, this piece encourages interaction between two individuals in a subtle and seductive way and perhaps will even lead to a kiss.